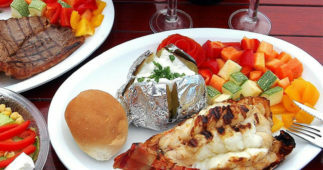 SKU: cancun-lobster-dinner-cruise. 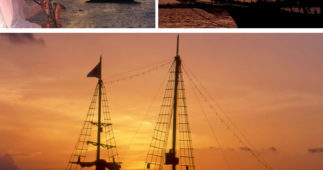 Categories: Night Tours in Cancun. 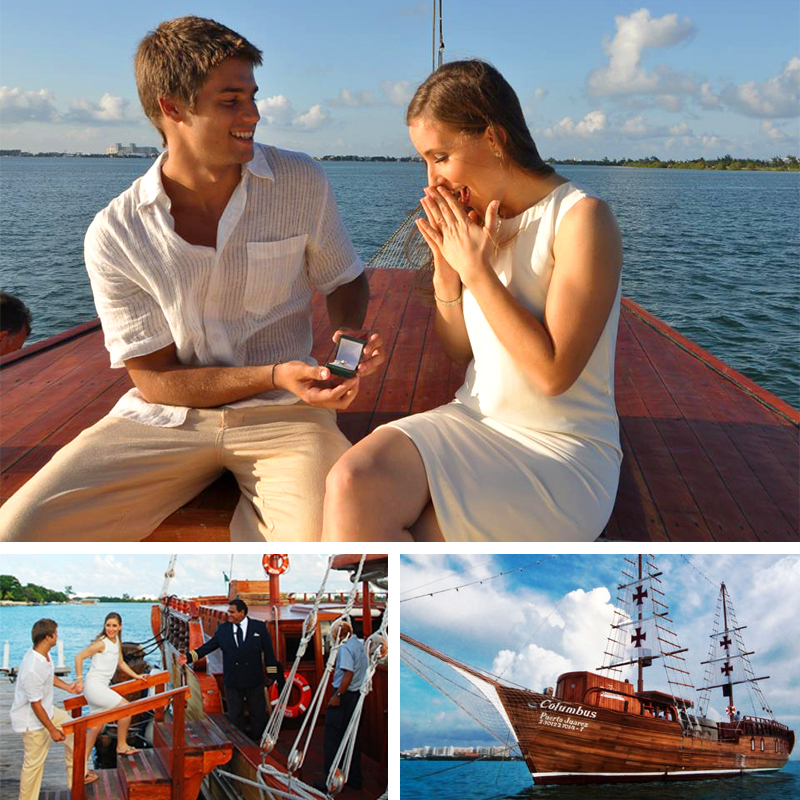 Sometimes, you just need to escape the crowds with your loved one and share the experience of a lifetime with them in Cancun’s most romantic night tours, the Cancun Lobster Sunset Cruise Columbus. Smooth sailing through the calm romantic waters of the Nichupte Lagoon, this trip is designed to create magic moments with that special someone. 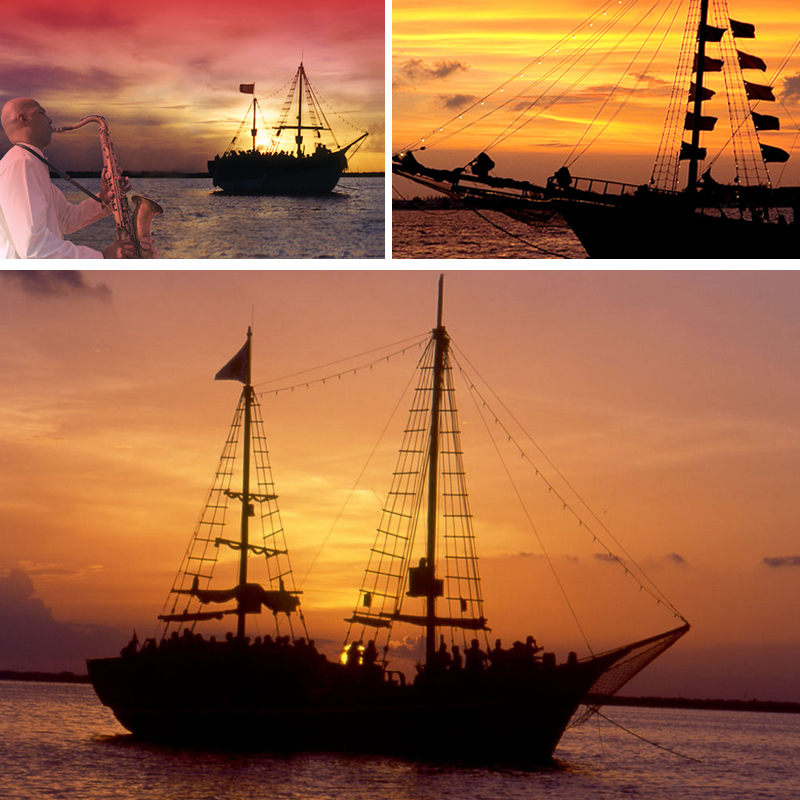 Imagine watching the sunset in Cancun on board of the Spanish Galleon Columbus. As the sunset paints the sky and the lagoon different hues, get ready to paint the town red. Watch as the sun sets over the city lights of Cancun, and enjoy the tranquility and silence of being away from the city with your love. 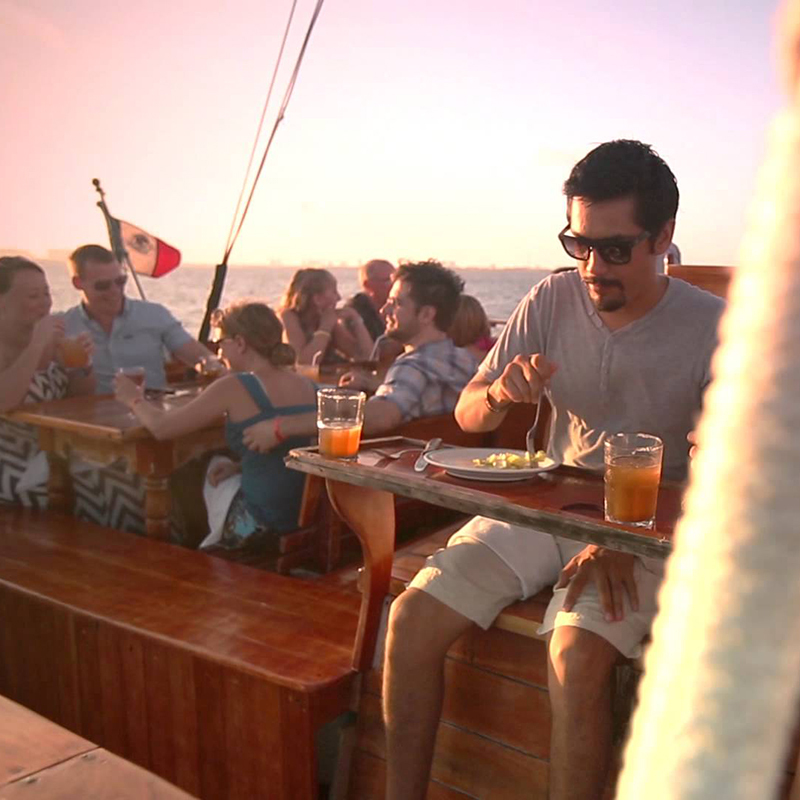 The first step in your romantic getaway in Cancun is arriving at the meeting point for the Lobster Dinner: Marina Aquatours. You will be welcomed by the attentive and welcoming staff to check in. 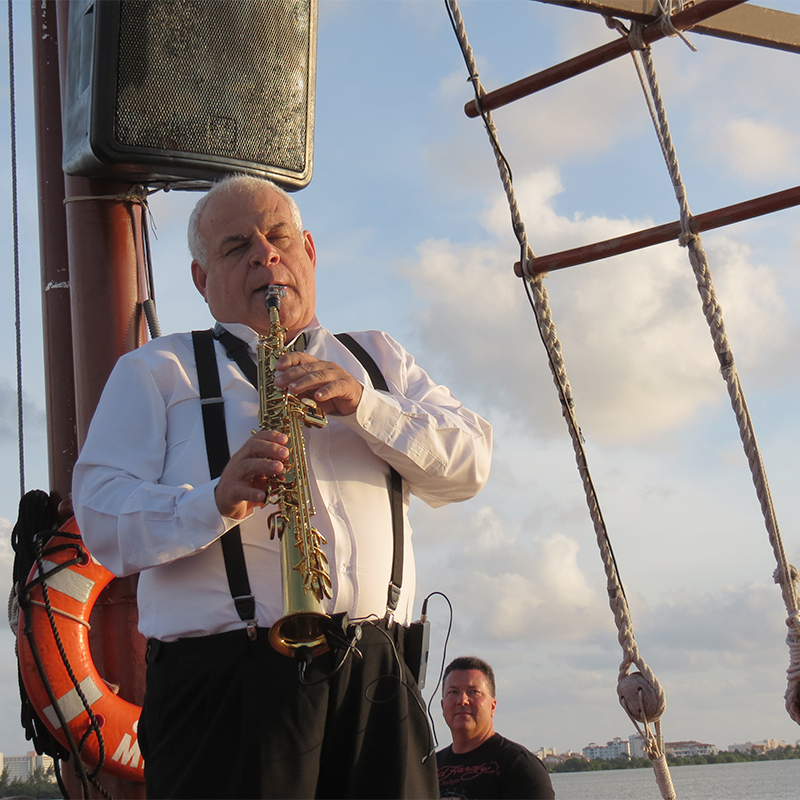 Then, you will board the Galleon, and enjoy drinks while listening to the sensual tones of the saxophone and taking in the colorful Caribbean sunset. 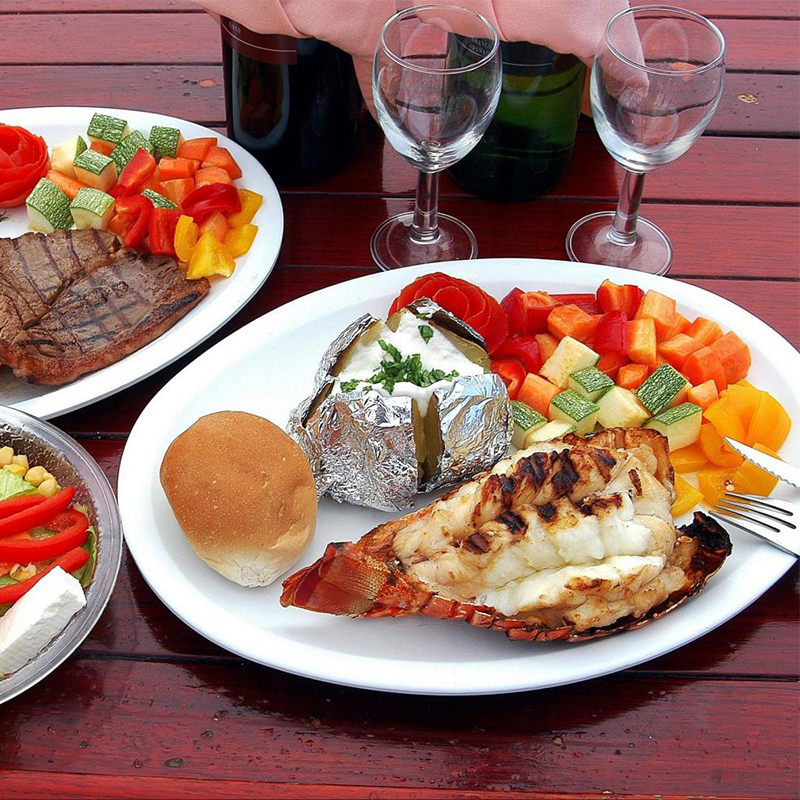 Choose between a lobster dinner , Surf & Turf (Rib Eye Steak and Lobster), or Vegetarian meal with a full range of side dishes, all cooked specially for you by our own on board chef. 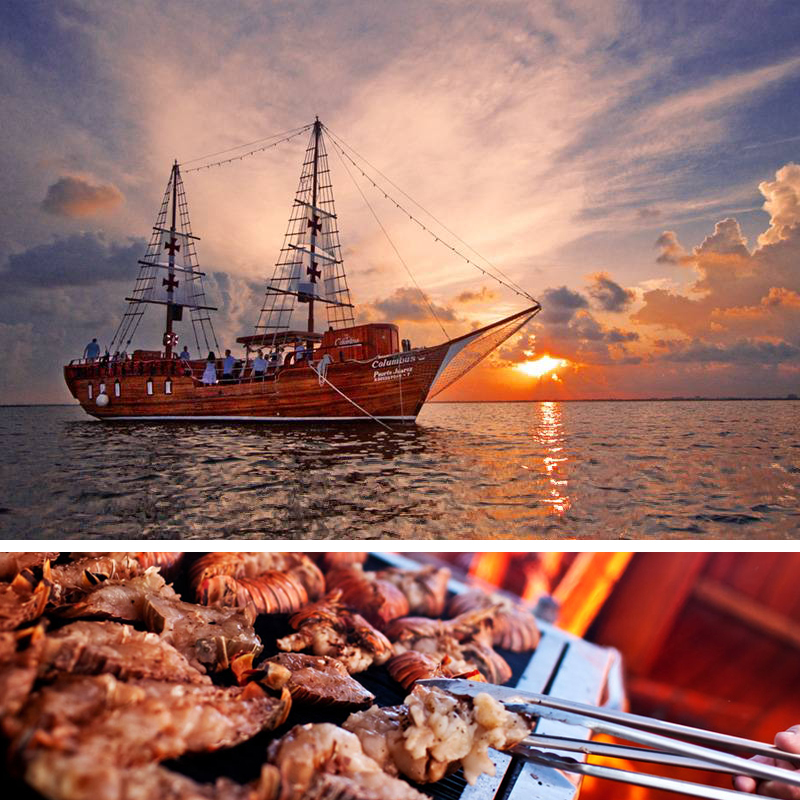 To top off your succulent dinner an assortment of wine and cocktails is available from the all-you-can-drink open bar to complete your sunset-perfect Cancun tour. 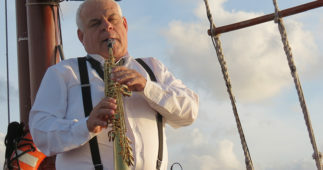 Share a special moment with your beloved and dance to the bewitching rhythm of a romantic Sax serenade. 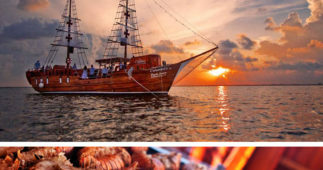 If you’re looking for an amazing Cancun honeymoon or anniversary experience, or just looking for a special evening, then the Cancun Lobster Sunset Cruise is perfect for you. This tour is an unforgettable romantic experience. Don’t miss the opportunity to fall in love all over again during your Cancun vacation. Rates and schedules may vary according to the selected date.